Yesterday I mentioned that Silverlight will work in the Opera browser. Now David Storey, the Chief Web Opener at Opera, revealed in a blog post a bit more about the support for Opera. Microsoft is serious about supporting Opera. The Silverlight team has been working with Opera on making sure the browser will support Silverlight. And as you can see from the picture below, Silverlight will work with Opera. In fact Microsoft invited us to the Mix conference in Las Vegas for the announcement that Opera will be supported in Silverlight. I commend Microsoft for reaching out and working with us on making Silverlight truly cross-browser compatible (unlike some other big companies that forget about Opera). Microsoft Silverlight 1.1 Developer reference. What about cross-platform compatible? There’s no way MS will let Silverlight run on arbitrary platforms, it’s a classic closed-source, anti-standards expropriation attempt. I hope that Opera will be more interested in further developing and supporting open standards rather than concentrating on catch-up implementations of MS-specific code. So, it’s not gonna work on linux? RPW, they have no choice but to make it as available as possible or Adobe will remain king in that arena. > they have no choice but to make it as available as possible or Adobe will remain king in that arena. The Silverlight licensing is totally incompatible with the GPL, so it could never ship with Linux. Even if it did (or there was a third-party GPL implementation), Silverlight is still closed-cource, vendor-controlled, and time-limited to the extent that MS wishes to support it. Opera should care more about implementing and developing open standards, like it did with CSS and like it is with WHAT-WG/HTML 5. >So, it’s not gonna work on linux? Yes, in wet dreams, where everyone is happy and there is no religion…. RPW: First of all, never say never. Secondly, we are not taking people off standards development for this. The Silverlight team will look into fixing bugs that are stopping Opera support, and we will look into fixing bugs on our side. The developers which would do this, if bugs are found, would be those responsible for our plug-in support. Fixing these bugs would also benefit other plug-ins. I think we’ve already shown that we care about implementing open standards (I’m not sure if you can call HTML5 a standard yet), we have the best support for SVG of any browser, we have one of the best CSS3 support, and DOM3, pass the ACID2 test, have already implemented WF2 from HTML5, and have worked with the W3C to standardise our widget implementation. None of this is affected by working with MS to ensure Silverlight works in Opera. > so it could never ship with Linux. Do not forget, that your chosen distribution does not equal Linux. Or for all that matters, that GNU does not equal Linux. There are a lot of distributions out there, that use the Linux Kernel, which is GPLed, but also use Software licenced under a BSD-style licence, or an X11-license, or a Sun-license or any other Whatsitsname-license. There are even, le gasp, some distributions, like SuSE and RedHat, that ship closed-source software. 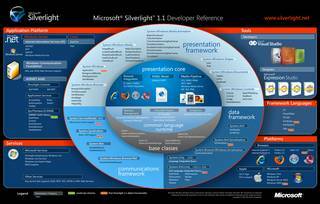 Just because Silverlight will be closed source and under a Microsoft licence, that won’t necessarily stop it from being integrated into your GNU/Linux-based distribution. As a side-note: Flash is also closed-source, if I might remind you. I was going to also state that Flash is very much closed source. So the simple anti-MS comments are just that. Your alternatives are equal, you just automaticaly hate anything branded MS.
“>So, it’s not gonna work on linux? Wow, someone go tell De Icaza and the rest of mono developers that they are wasting their time!. Jesus christ, it’s not really that hard to be a little bit informed, is it?. I agree with David Storey, never say never about anything. Mono has helped out before, so why not again like they say, and Flex went open source under the Mozilla Public License not long ago. Who would have guessed that up front? It’s kind of funny that Microsoft is supposedly working well with Opera on this and yet they fail to even mention Opera on the Browser list. Sure there is a logo, but how many people who’ve never used Opera are gonna see the logo and think..oh I can use Opera for this, I should try it out! Still Microsoft being cheap if you ask me, lol. kyleabaker, they do mention “Opera” on the bottom left corner. Well, bottom *right* corner on above image. Anyway, wondering, does Silverlight have any implications on the Nintendo Wii browser’s flash performance (currently Adobe Flash 7, which is limited)… ??? Investor, yup. I meant bottom right. With regards to the Wii, I was wondering the same. But if the Wii requires a Flash SDK, and not a plugin, I wonder if the same requirement holds true for Silverlight too. Guess you are saying… On the Wii, Adobe is Boss… neither Opera, Nintendo, nor Silverlight can change that ? What does Silverlight have to do with Flash on Wii? Well, Wii got the Opera browser. Can it run Silverlight ?, if so, would that improve (video) performance (compared to using Adobe flash 7) ? Wii got potential, but probably needs a better video sollution to make it big. (Ref. estimated owned by 30% of households by 2011). Waiting for Adobe, to develop flash 8 and 9 is … bad news. Thus wondering if Silverlight is… good news. yes, how about a better expo for us, cutting out all the PR stuff?? It looks very much like the promo for the PNG format – it was made when the GIF format looked like it was going to be costly for all its users!! and what would you say, when a company starts treading on the area used by the above?? especially when it has so many other ‘cashmakers’ that it need not be so careful of it’s property that adobe and google are??? Roughly 1000 GIF files for me, 500 PNGs, and 200 JPGs for me. You were saying what the top will be? That’s from a month of surfing onna 20MB cache. So you’re a web designer?? hardly a ‘normal user’…. I guess it’s timely and fairly on-topic to mention Implementing Silverlight on Linux in 21 Days, considering the amount of people screaming about non-Linux support, license incompatibilities etc., and claming that Silverlight will never be supported on Linux. Well, now it is. With that Open Source implementation, done by the fabulous Mono guys, I assume that we’ll see BSD, OS X and Solaris support fairly quickly. Opera Watch, an Opera browser blog, is run by Daniel Goldman, who used to work for Opera Software as a Technical Evangelist. Subscribe to Opera Watch, and stay in touch with the latest Opera browser buzz. How to open multiple web pages from Opera Speed Dial? How to change the height of various toolbars in an Opera skin? How to convert the search field into a button in the Opera Search panel? How to add/change icon for custom buttons or menu items? How to resume an accidentally removed/missing transfer in Opera? How to change hotclick dictionary/encyclopedia site in Opera? Note: I encourage you to copy and translate my blog posts to your non-English blog. Do you have an Opera blog (with more than 90% of the content Opera-related)? Let me know and I'll add it to the list above. A: Opera is one of the most powerful Web browsers around. A Web browser is the program that allows you to view Web pages. Opera is well known for innovation for PC browsers and bringing the full web to mobile phones and devices. Q: Why should I download a browser? Doesn't my computer already come with one for free? A: It's about getting more out of the time you spend on the internet. Opera is designed to be much faster than these browsers and gives you powerful features that the default browser lacks. Default browsers like Internet Explorer are also more likely to be subjected to dangerous software such as viruses and spyware. Q: Will Opera keep me safe from fraudulent websites and malicious hackers? A: According to Secunia, a respected firm that tracks security in browsers, Opera has the best reputation and track record when it comes to browser security. Keeping our users safe from security vulnerabilities, fraudulent websites, and malicious hackers is a top priority for Opera. Opera is maintained by hundreds of engineers, developers and security experts who are constantly looking to make the browser even safer. Q: Does Opera support extensions, such as those found in Firefox? A: Much of the functionality provided through Firefox extensions is already built directly into Opera, so you don't have to download additional extensions in Opera. In addition, Opera is highly customizable and supports all standard plug-ins. Q: Can I also use Opera on my mobile phone? A: Yes. And your Nintendo Wii, Nintendo DS or almost any connected device and mobile phones. Opera Mobile oftens comes preinstalled from the manufacturers, but if it doesn't you can install Opera Mini which runs on nearly all phones. Q: This all sounds great, so how do I download Opera?